We’ve all had moments of nervousness, restlessness, and anxiety. When we become adults, we realize these are the natural forces of our bodies as we pursue careers, want to create a family, or buy a home. However, when we are young, these anxieties are hard to articulate, making it difficult for our doctors and parents to understand us. Attention deficit hyperactivity disorder (ADHD) is a common neurobehavioral disorder most commonly diagnosed in children. It was first mentioned in 1902 by British pediatrician Sir George Still and described as “an abnormal defect of moral control in children.” He found that some affected children could not control their behavior the way a typical child would, but they were still intelligent . It was originally called hyperkinetic impulse disorder. It wasn’t until the late 1960s that the American Psychiatric Association (APA) formally recognized ADHD as a mental disorder. Trouble Paying Attention. Children with ADHD are easily distracted and have trouble focusing on a single task. Trouble Sitting Still For A Short Time. Children with ADHD will fidget, squirm, and run around instead of sitting still while teens and adults will feel restless and fidgety. Acting Before Thinking. Children with ADHD are more impulsive, they may talk too loud, laugh too loud, or become angrier than the situation calls for. For someone to be diagnosed with ADHD they must present some or all of the symptoms on a regular basis for more than six months . Before the 1970’s, Doctor’s diagnosed students aged 4 to 17 with ADHD at about 1%, but diagnosis rates have jumped to 7% according to the National Survey of Children’s health. [ii] In a Curious Mind Magazine article, world-renowned psychologist Jerome Kagan explains this influx in diagnoses as a result of inadequate testing and an eagerness among doctors to escalate childhood anxieties as an underlying physiological disorder, which the phrase “mental illness” describes. However, Kagan claims that 90 percent of children do not have a hormonal imbalance. The factors which influence a child’s anxiety is in their control. Kagan calls ADHD an “invention” suggesting that Ritalin is over-prescribed, because doctor’s don’t care, and parents are too eager to help their children’s plummeting grades in any way. However, this causes problems, because giving Ritalin to people without ADHD only masks their symptoms rather than dealing with the core cause of their anxiety. Additionally, 40 percent of teenagers who are deemed depressed or anxious are targets for misdiagnosis because these symptoms are signs of a mental illness. However, only 8 percent of teenagers are actually in need of attention. 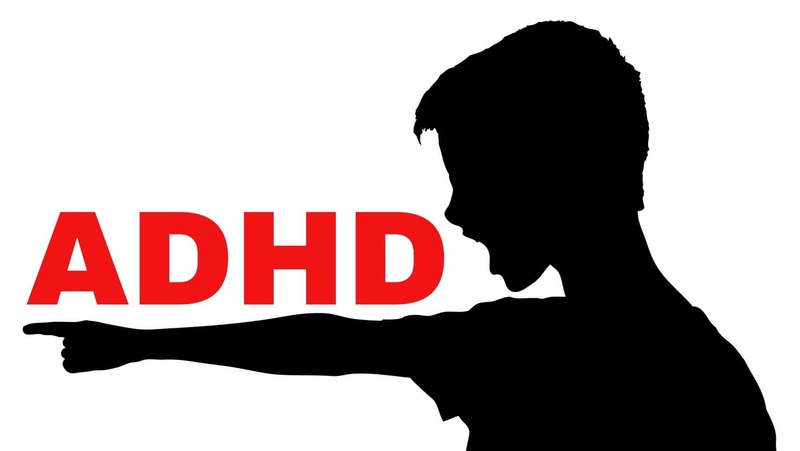 [iii] As a society, we have suspicions that our children could have ADHD. Our worries are magnified when they start to feel anxiety and nervousness, producing knee-jerk reactions in parents in the form of drugs. Is There A Problem With Over-Diagnosis? In the 1990’s, ADHD was popularized for hindering our ability to focus and to be productive in a significant way. For some, this is true, but many use the medical term to describe people who find it difficult to function within the strict confines of our education system. In response, the government acknowledged it as a disability, financially supporting drugs like Ritalin and Adderall through Medicaid. [iv] This institutional support along with an emerging, cultural understanding about the importance of mental health gave the illness widespread attention and made it easy to diagnose ADHD. Additionally, fear motivates us when we think our children might suffer from ADHD. As parents, we want our kids to thrive, and we fear that their unusual behavior will make it difficult for them to succeed within the confines of our school and work environments. This fear drives many people to find immediate solutions such as drugs. The Director of Clinical Operations at the San Diego Center for Children, who is familiar with parents of ADHD, says “I think that sometimes folks want an immediate answer and want to help a child as quickly as possible.”[v]This emotional response could explain the over diagnosis of ADHD because parents rush to conclusions to help their children. These decisions are a problem when their behavior may not be related to ADHD and could be caused by unrelated abuse and trauma. There’s also financial benefits to over-diagnosing children with ADHD. Pharmaceutical companies have control over the perceptions of diseases and perpetuate the fear of ADHD. New York Times writer Steve Silberman says pharmaceutical companies create “relationships with psychopharmacologists at prestigious universities like Harvard” while using trusted agencies like the world health organization to create a market for their drugs. [vi] This demand ensures huge profits for pharmaceutical companies building the multi-billion dollar industry it is today. Over diagnosis of ADHD, while common, does not diminish the fact that ADHD and those who are suffering from it are in anyway in less need of assistance. What is important to remember is that there is no end-all, be-all solution. There are risks to over diagnosis, with studies showing that ADHD medication leads to heart problems and seizures. When in fact, alternatives like cannabis are effective at reducing the symptoms related with ADHD. You may also be interested in: ADHD drug, Adderall, is like crystal meth. [i] 5. SCHWARZ A. The Selling of Attention Deficit Disorder. NYTimes com. 2017. Available at: http://www.nytimes.com/2013/12/15/health/the-selling-of-attention-deficit-disorder.html?pagewanted=all. Accessed February 28, 2017. [ii] Connor, Daniel F. Problems of overdiagnosis and overprescribing in ADHD: are they legitimate? Psychiatric Times, Aug. 2011, p. 14. Academic OneFile. Available at: http://go.galegroup.com/ps/anonymous?p=AONE&sw=w&issn=08932905&v=2.1&it=r&id=GALE%7CA264271228&sid=googleScholar&linkaccess=fulltext&authCount=1&isAnonymousEntry=true. Accessed 28 Feb. 2017. [iv] Connor, Daniel F. “Problems of overdiagnosis and overprescribing in ADHD: are they legitimate?” Psychiatric Times, Aug. 2011, p. 14. Academic OneFile. Available at: http://go.galegroup.com/ps/anonymous?p=AONE&sw=w&issn=08932905&v=2.1&it=r&id=GALE%7CA264271228&sid=googleScholar&linkaccess=fulltext&authCount=1&isAnonymousEntry=true. Accessed 28 Feb. 2017. [v] 3. Landau E. ADHD: Who makes the diagnosis?. Cnn.com. 2017. Available at: http://www.cnn.com/2010/HEALTH/08/11/adhd.medication.schools/. Accessed February 28, 2017. [vi] 4. Silberman S. Overselling A.D.H.D. : A New Book Exposes Big Pharma’s Role. NYTimes com. 2017. Available at: https://www.nytimes.com/2016/08/28/books/review/adhd-nation-alan-schwarz.html?_r=1. Accessed February 28, 2017.